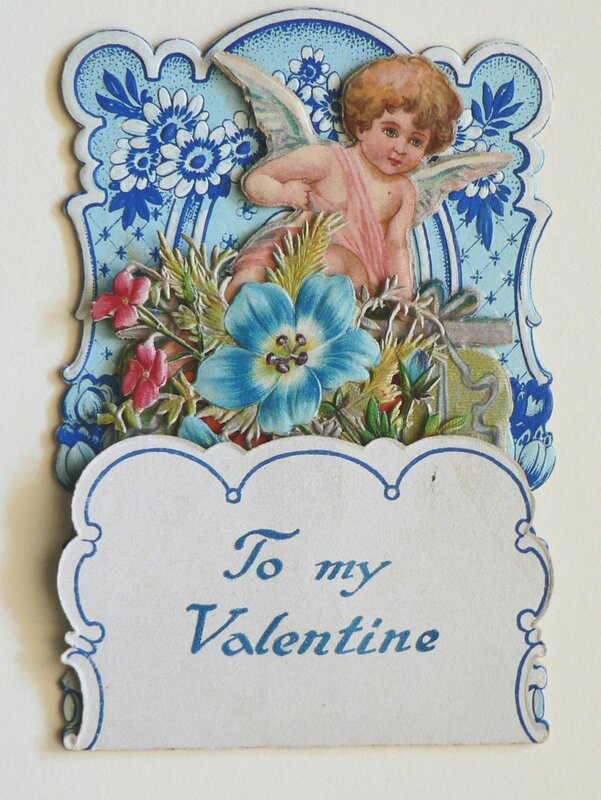 Lovely intricately cut three dimensional valentine. Opens to reveal wonderful cut details. Great floral detail and adorable cupid. Beautiful when framed as a shadow box. 4 5/8 x 3 1/8 inches.